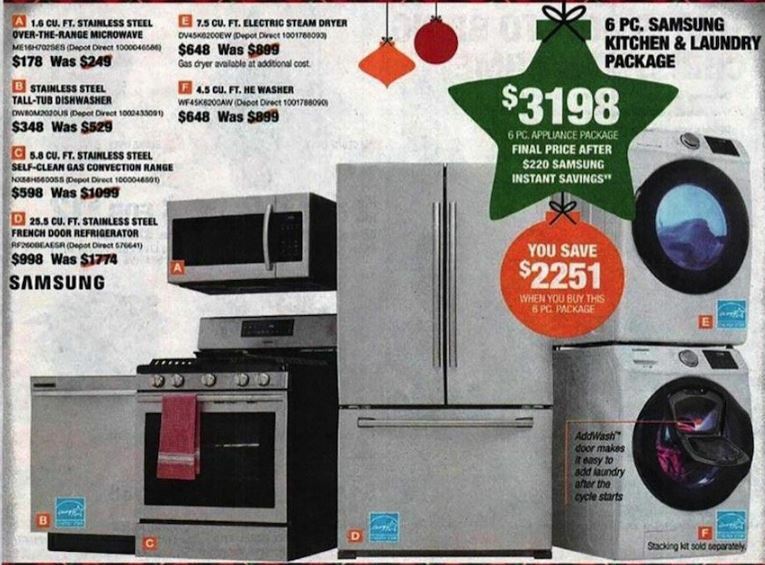 We’re putting together a list of deals on appliances during Black Friday 2019 from Thanksgiving Day to Cyber Monday 2019. 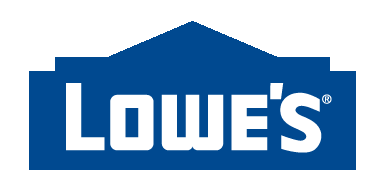 We will search the published and online ads for the best savings on refrigerators, laundry washers and dryers, dishwashers, freezers, ranges and ovens, wine cellars, air conditioners, and other home appliances. 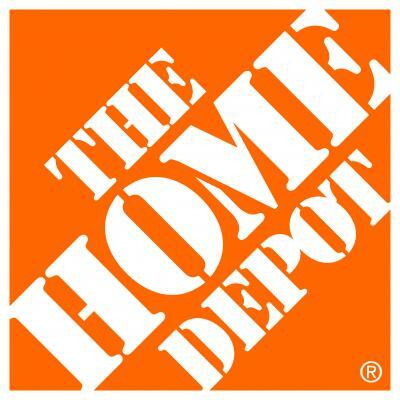 If you are looking to buy an appliance for Black Friday 2019, you will find your best options here. Stores will start releasing their deals for Black Friday 2018 starting in late October or early November. We will update this page when the ads are released. 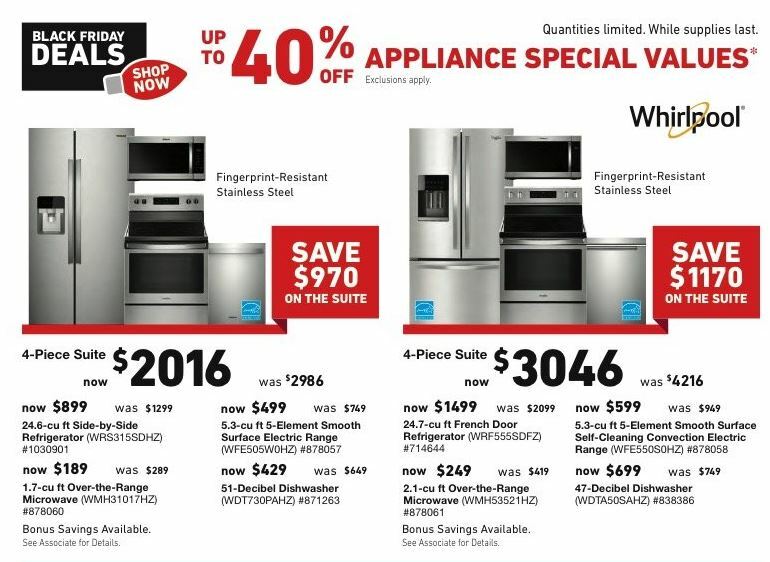 On Black Friday, we expect you may be able to find substantial deals on home appliances. 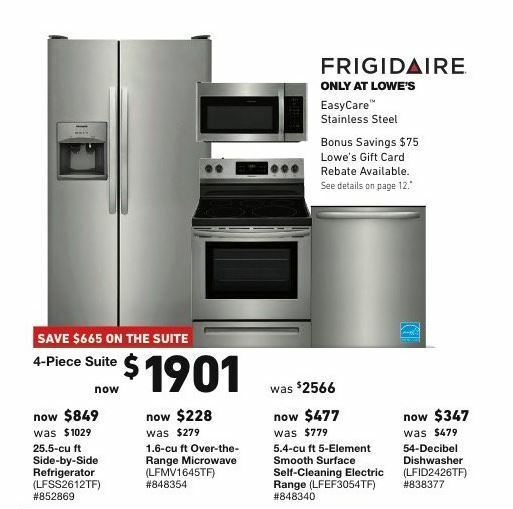 A shiny new stainless steel refrigerator with french doors can be a great Christmas gift for your kitchen. Buy one on sale during Black Friday and you’ll be whistling while your work in the kitchen all the way into the new year. It is kind of crazy that you can buy a washer or dryer online these days and then they deliver it right to your home. So with online websites like Amazon carrying laundry appliances, appliance stores will be even more desperate to earn your business over the holidays. And that means great discounts for Black Friday, of course! No one likes to do the dishes, especially if you have a large family eating together. So a dishwasher is pretty much a necessity in most kitchens these days. At least it is in mine because I tend to produce a lot of dishes when I cook. If you are currently manually doing your dishes in the sink because it is broken or your kitchen simply doesn’t have one, we hope that we can help you find a good deal on one this year. 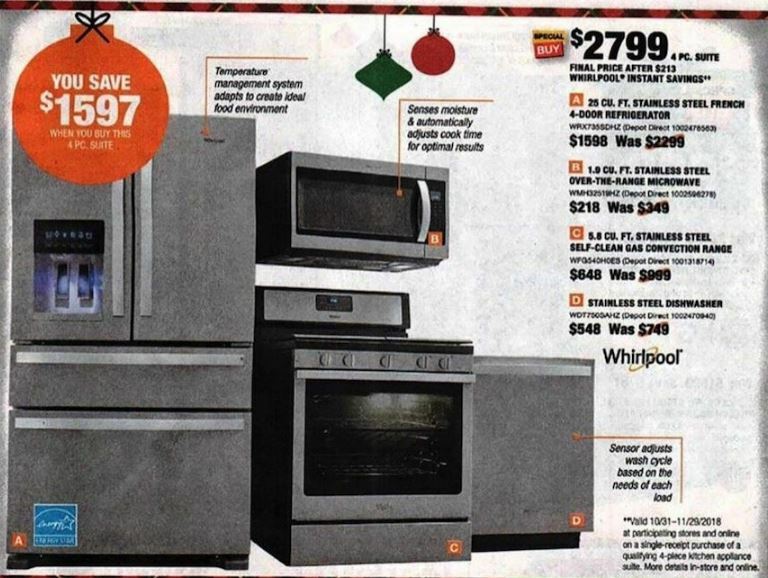 If you are looking to upgrade your major kitchen appliances, Black Friday can be a good time to do so. Every kitchen starts with an electric range. But some are more fun to slave over a hot stove then others. Maybe you want to upgrade to a double oven or convection oven. Or maybe you are simply looking to replace an old stove. 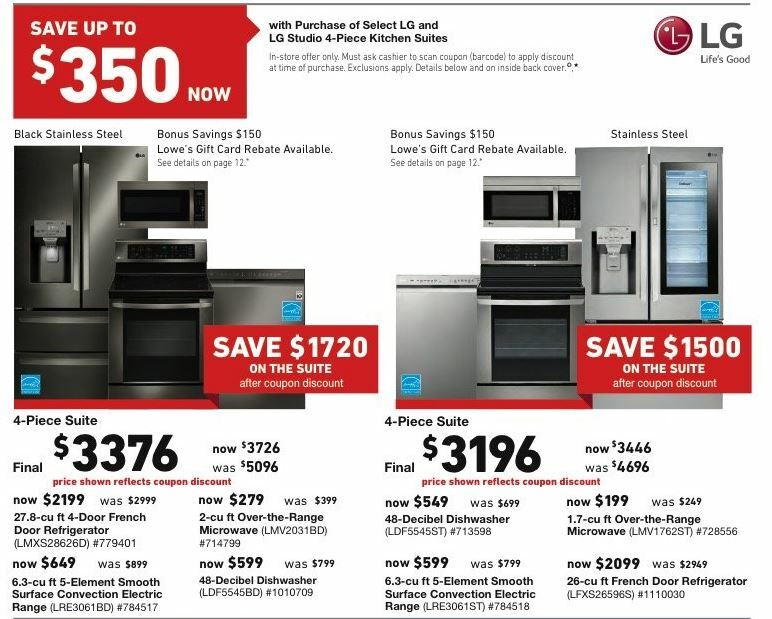 With these items starting at approximately $350 for a simple one and going up to approximately $3,000 or more for a top of the line convection oven, there are plenty of room for discounts on Black Friday and Cyber Monday. The winter isn’t exactly the best time to be selling air conditioners so you may just find a few deals on portable and window air conditioner units hidden among the other Black Friday deals. 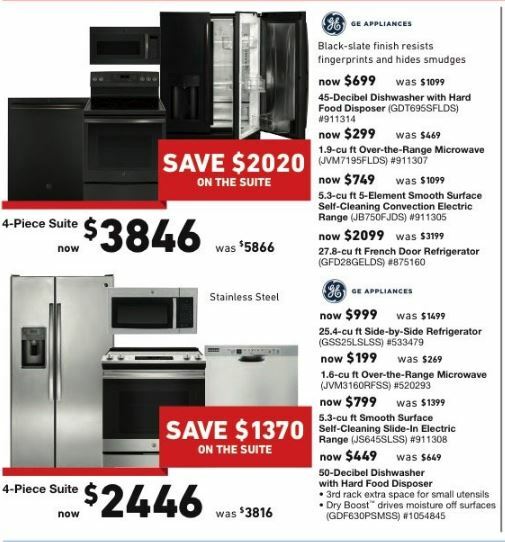 Buy an appliance for Black Friday or Cyber Monday 2019 at an incredible savings. Check back regularly for updates on the best deals from your favorite retailers to kick start your holiday shopping.